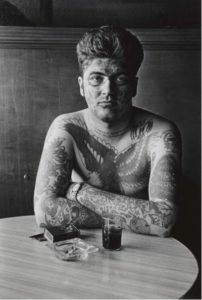 The San Francisco Museum of Modern Art currently has a exhibit of early Diane Arbus photos—from 1956 to 1962. According to the wall labels, this was an exploratory period for her. The variety of work shown make it clear how wide she spread her net at first, before zeroing in on her own singular vision. A lot of this early work is unremarkable. “Jack Dracula” catches the eye because the subject is odd, not because Arbus adds insight. Other pieces depict one or another of life’s common oddities. For one reason or another, perhaps half the show falls into the category of views you’d hardly notice if there weren’t a Name attached. 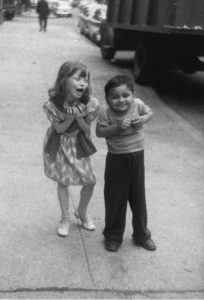 or “Child teasing another, NYC, 1960.” Both are moments we’ve seen a thousand times on the street, but not with such focus. 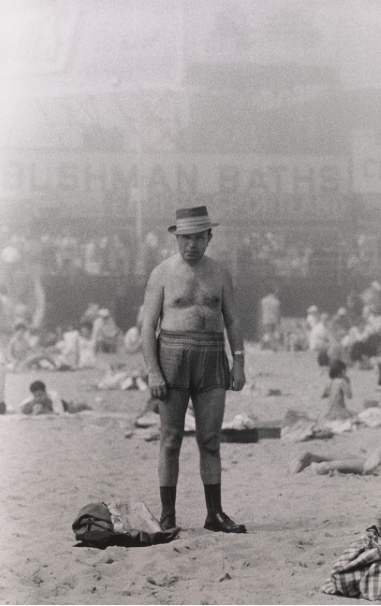 Sometimes, as in “Man in hat, trunks, socks and shoes, Coney Island, N.Y. 1960,” the point is grotesquerie. 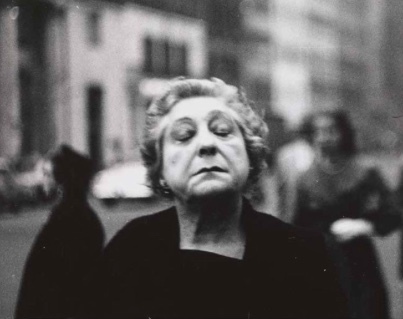 Arbus had a real affinity for this sort of thing. But painful as the image is, it’s oddly sympathetic. Being grotesque isn’t the same as being ridiculous. The man is simply is as he is. Without that eye contact with the driver and passenger it would be just a passing taxi. 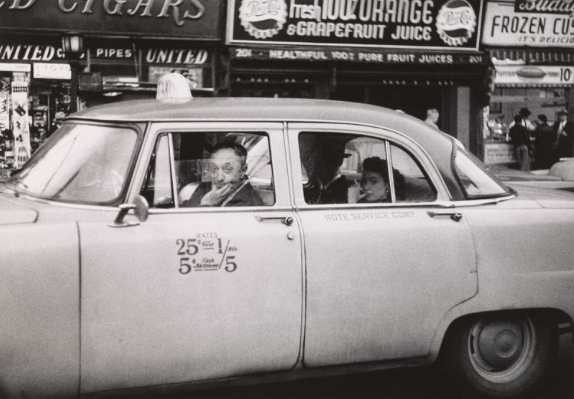 But with it we have a fascinating sense of completeness: taxi, driver, passengers, the street beyond, and the viewer– the noticer and appreciator of the complex, delicious whole (the rhyming hands!). The long captions sound like inventory descriptions rather than titles, but their effect is to emphasize the particularity of the moment.